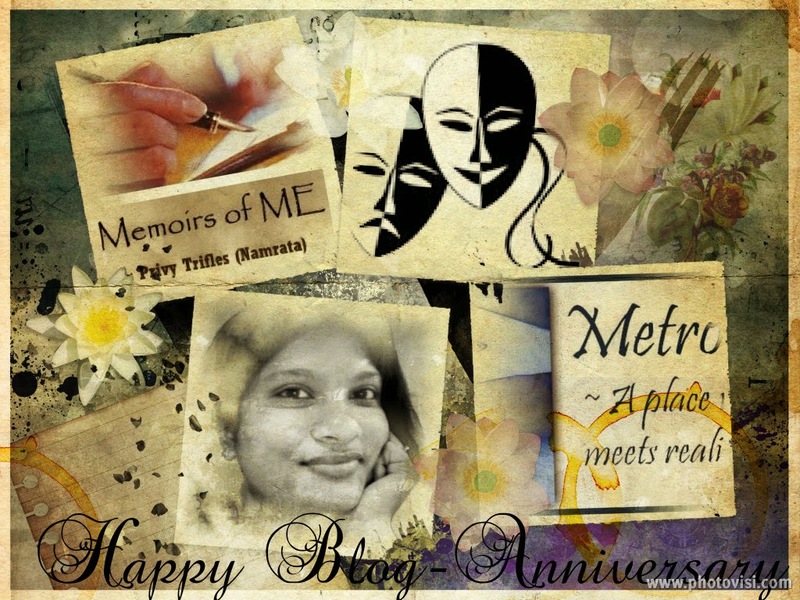 On 8th March as the world celebrated Women's Day I celebrated my first born blog's 3rd birthday. Looking back in time as I reminisced about my journey till here I was reminded of a beautiful and unique contest being held by my wonderful friends at Indiblogeshwaris. This month they are celebrating Being YOU and in this contest all that I am supposed to do is a post a picture which defines me perfectly with a tagline. As I thought about all the various poses, the only picture that came to my mind was THIS. A very dear friend gifted it to me and its exactly defines me the way I am. Me, without my blogs is nothing! And that is what is depicted in here, with some of my favourite segments on the blog. Such reminders help me sail through dark clouds as “Ï am loved” is all that they prove! Thank you so so so much dear!! Privy you are loved by all and your smiling face reflects that. Happy anniv of your blog. Very good musings and pictures. "Footprints in life"..... We all want to remember the good ones. Lovely blog.